We offer a variety of performance spark plug wire sets for your 8.1L Vortec / 496 Mag engine. All of our direct replacement kits are feature low resitance designs for maximum power transfer. Our ceramic spark plug wire kits are a perfect solution for 8.1L / 496 engines with headers that won't quit burning spark plug boots. Available with white ceramic boots and Red wires. 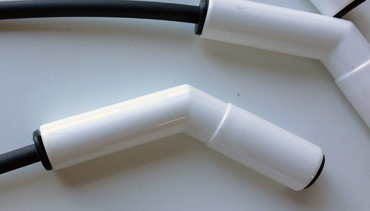 Our ceramic spark plug wires are direct replacement for your unequal length 496MAG / 496MAG HO Mercury Marine wires and eliminate spark plug boot burning in applications with headers. Available with white ceramic boots and your choice of Red or Black wires. Don't waste $400+ buying replacements from the dealer! 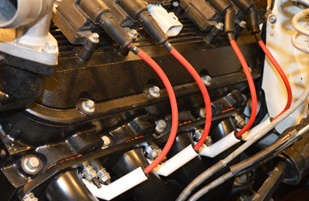 Our spark plug wires are direct replacement for your unequal length 496MAG / 496MAG HO Mercury Marine wires. Our ignition wires have less than half the resistance of most factory wires, which frees spark energy and increases performance! 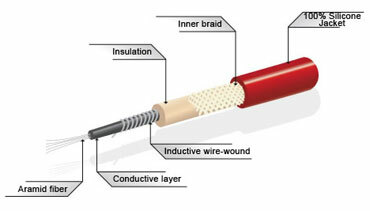 Get as much as 5+ hp gain with insulated, ceramic performance wires. They feature 100% ceramic jackets and unique boot ends designed for maximum clearance and long life for severe duty applications. 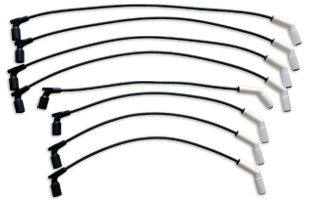 These heavy duty ignition wires come standard with wire-wound mag conductors for superior electro magnetic interference suppression (EMI).